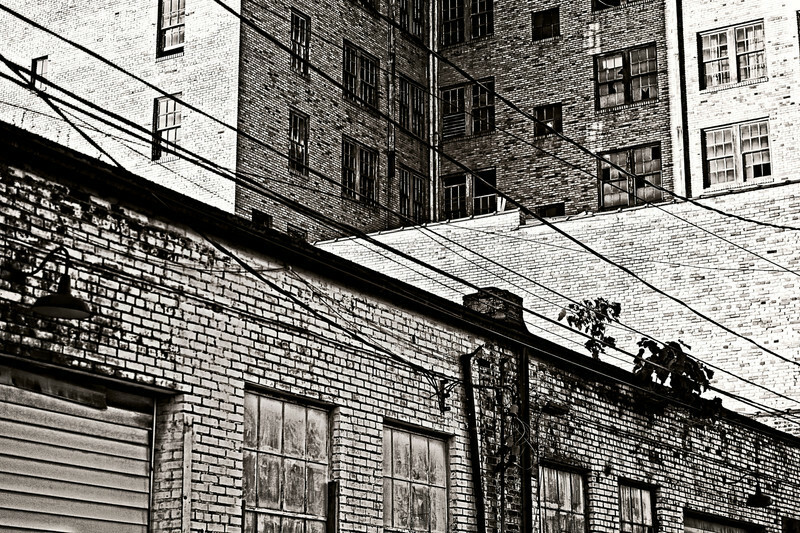 I like all the lines running through the shot -- between the power lines and the angles of the buildings. Well done! Wonderful black and white, very nice picture.